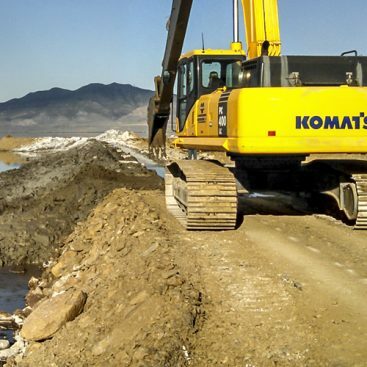 The project included the installation of a cement-bentonite (CB) slurry wall constructed through the centerline of a narrow Fly Ash Lagoon Dam. The cutoff wall was a minimum of 2 wide and installed to a maximum depth of 24 feet. 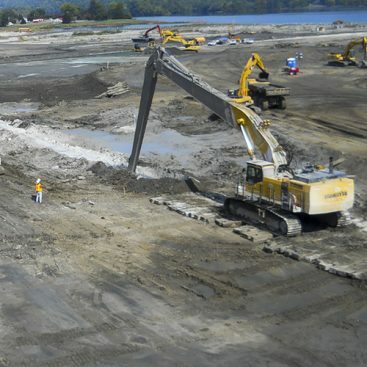 The finished cutoff wall was approximately 1,630 feet long and installed to provide seepage control through the dike, and stability for a vinyl sheet pile wall that was subsequently installed through the CB barrier wall. 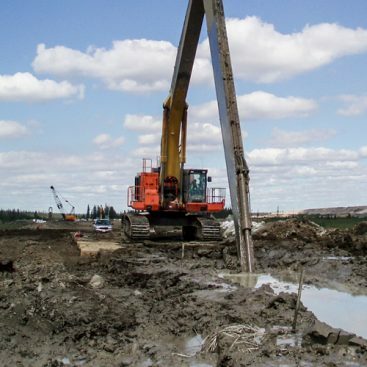 In accordance with the QC plan, all CB slurry mix samples met or exceeded the project requirements of 28-day UCS between 3-15psi and permeability of 1 x 10-5 cm/sec or less. 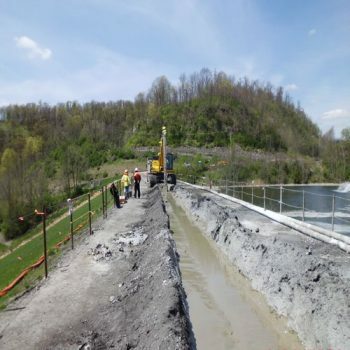 The completed CB wall required approximately 40,000 square feet of excavation and took 203 tons of bentonite and 546 tons of cement to construct.